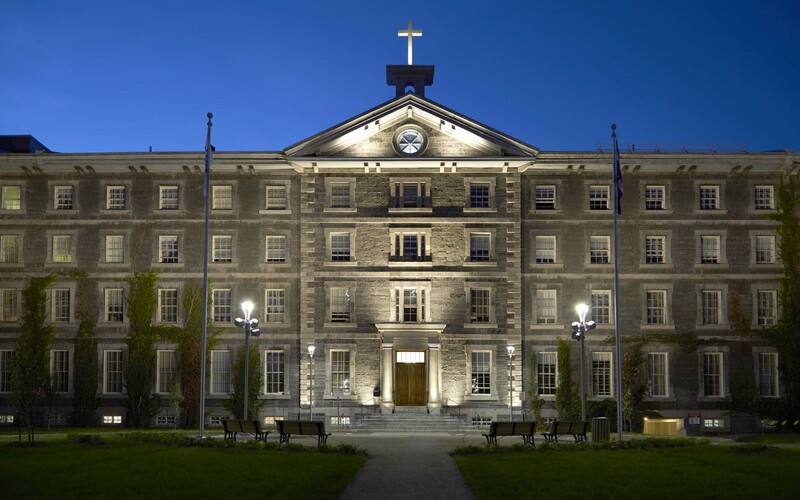 The famed and significant architecture of the college now has a repurposed voice in the night, thanks to Lumenpulse and Éclairage Public. 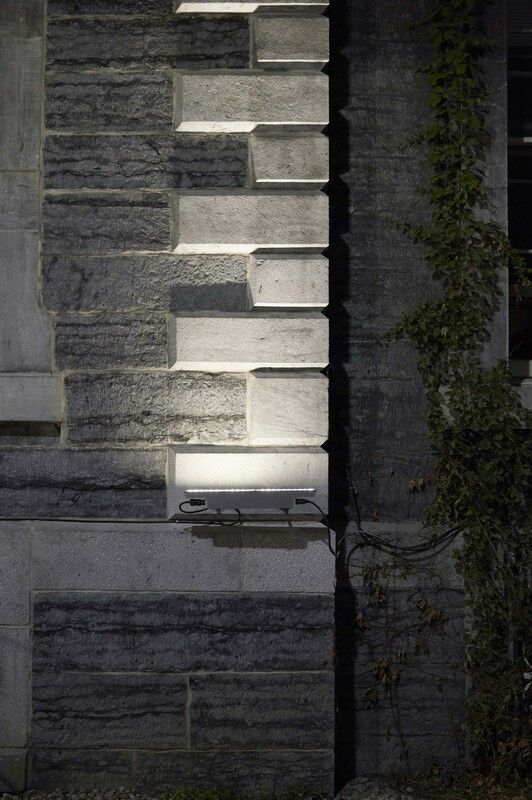 The illumination would reinvigorate and reinterpret the building itself as well its surrounding grounds. 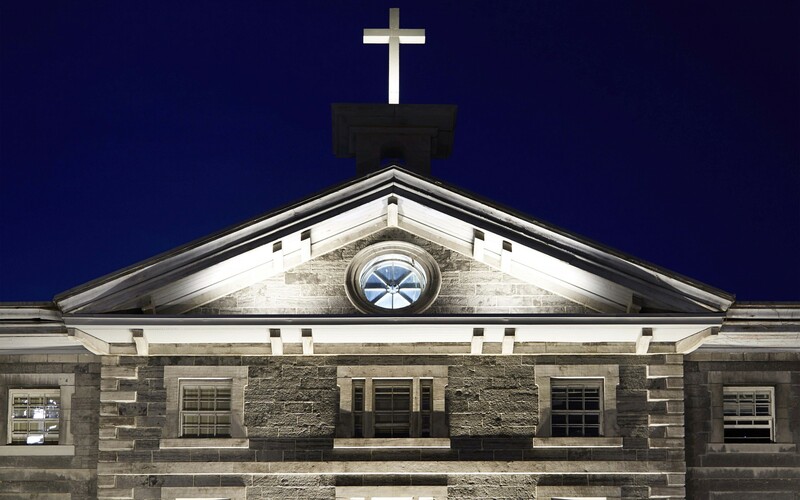 The lighting design reinvigorated the college’s position amongst the Montréal night, a fitting tribute that would have the striking architecture speak for itself. 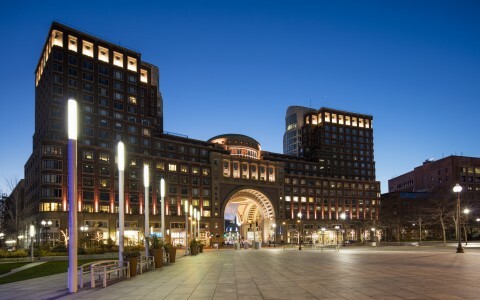 A seamless integration of luminaires with the historic architecture was of utmost importance. The front grounds of the structure were also illuminated as if to guide the eyes of onlookers to the structure itself. 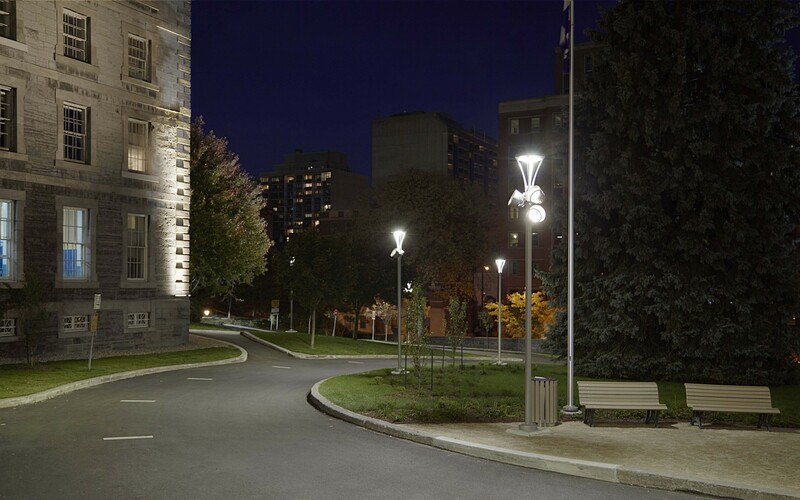 The soft glow achieved on both the driveway, that horseshoes the lawn, and the building itself can be attributed to the warmth of the Lumenpulse fixtures as well as their positioning. 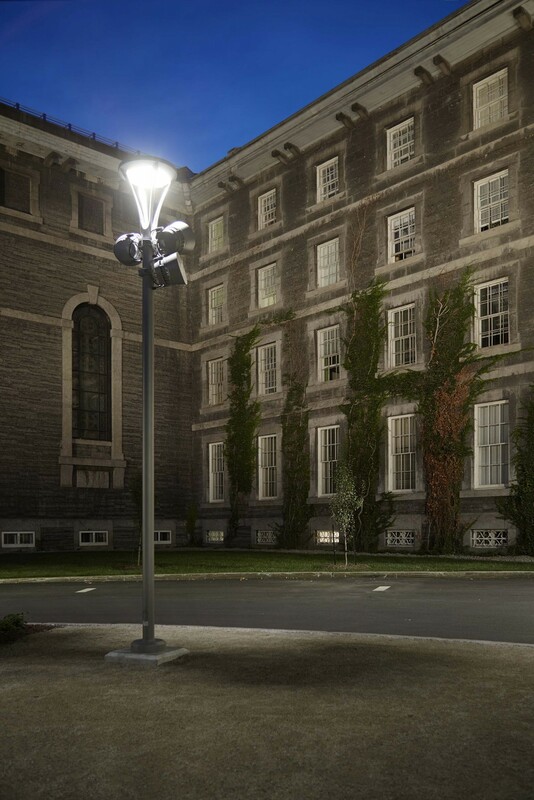 The Lumenarea fixtures, pole-mounted on the island of lawn facing the college provide a modern, low-maintenance, and far-reaching illumination that allows for less spill light to end up where it isn’t meant to. 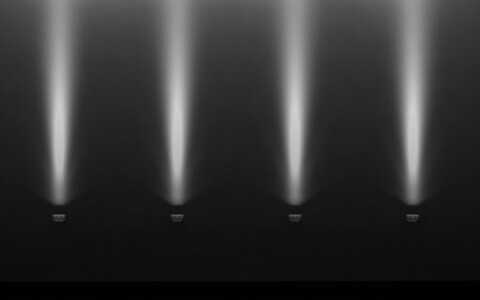 The optics of the Lumenfacade allow for a shallow setback of the luminaires while the breadth of their illumination requires less fixtures to be mounted that other alternatives. 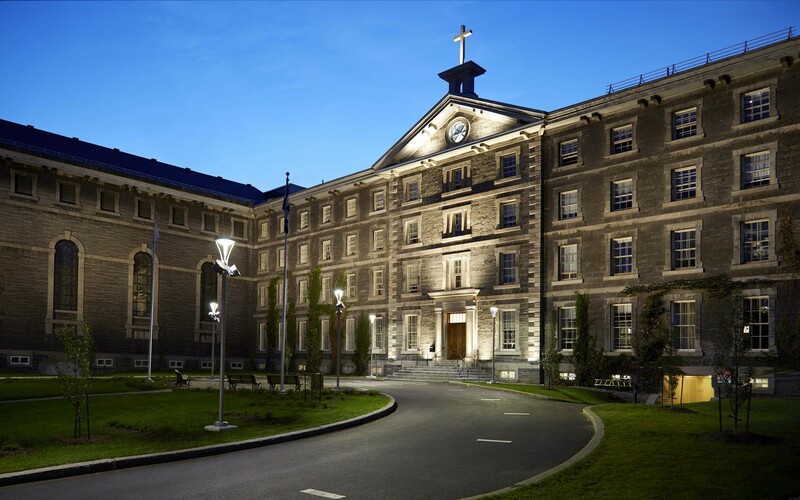 The college’s central façade, main entrance, its auxiliary entrances, cornices, columns, and central cross became even more of a landmark thanks to their design. 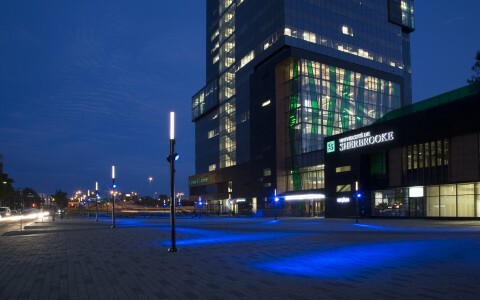 Lumenpulse fixtures are employed to celebrate the 250th anniversary of an iconic Montréal building. 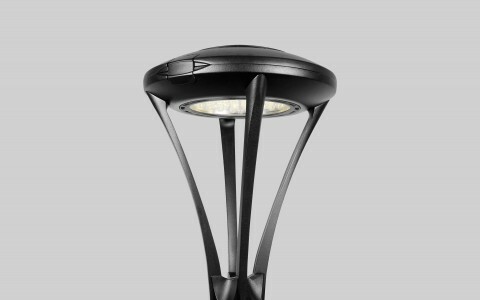 We used the Lumenbeam Large and Lumenfacade luminaires for their power and quality of light, the sturdiness of the fitting accessories, and the availability of options that matched our distribution needs. Each building possesses a character unto its own. 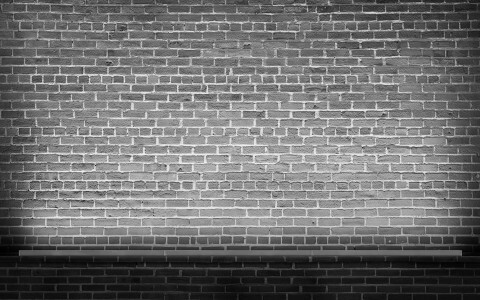 Buildings become more than the places we work, live, learn, and play in, they form and inform our own histories. 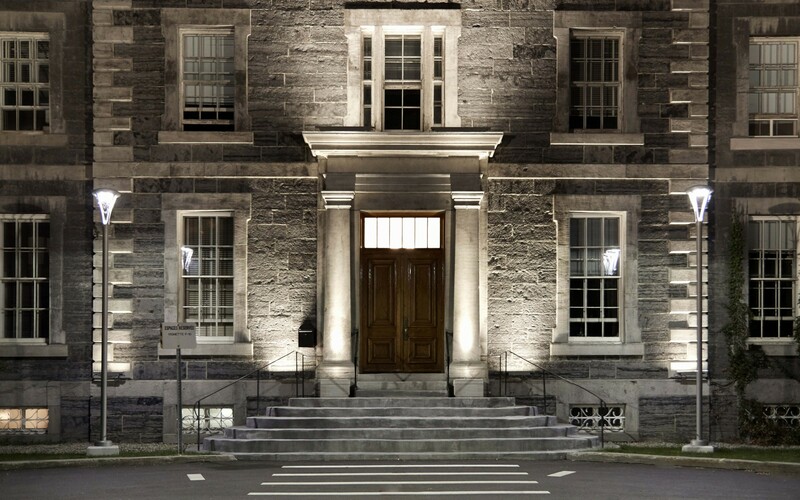 For 250 years, the College de Montréal has been part of people's lives, generations of lives. The patina of two-and-a-half centuries is surely something to celebrate. Eclairage Public eloquently honored the college's past while refreshing it for the future. 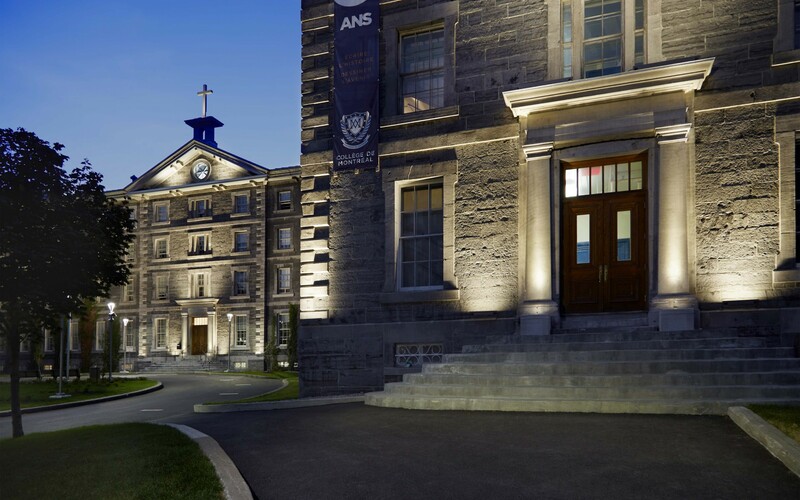 Their lighting design reinvigorated the college's position amongst the Montréal night, a fitting tribute that would have the striking architecture speak for itself. But the design wouldn't just stop there, the front grounds of the structure was also illuminated as if to guide the eyes of onlookers to the structure itself. 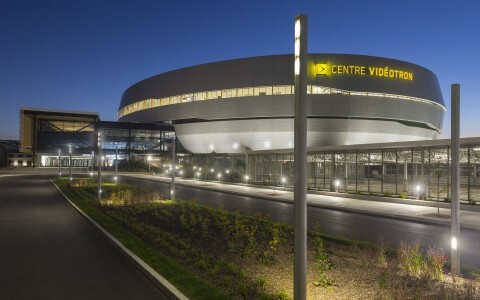 "In this particular case, we wanted to enhance the different building entrances by highlighting their details, illuminating the building with a general soft light coming from pole-top projectors," says Gilles Arpin of Eclairage Public. 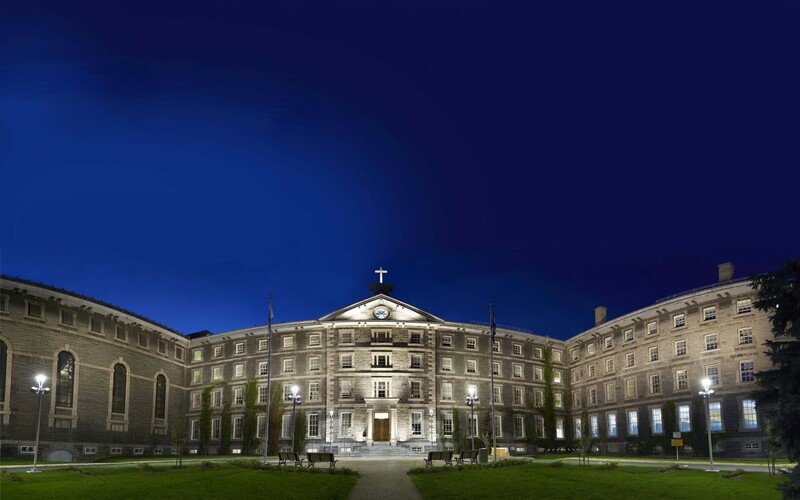 The college's central façade, main entrance, its auxiliary entrances, cornices, columns, and central cross became even more of a landmark thanks to their design. 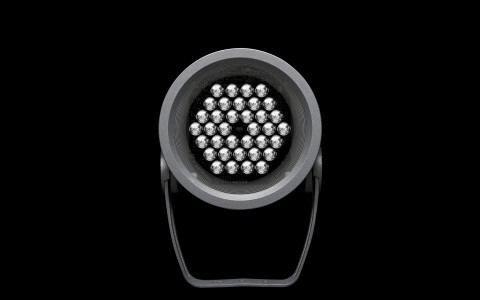 The Lumenfacade and Lumenbeam fixtures fit seamlessly into the architecture and seem to project from the building itself. 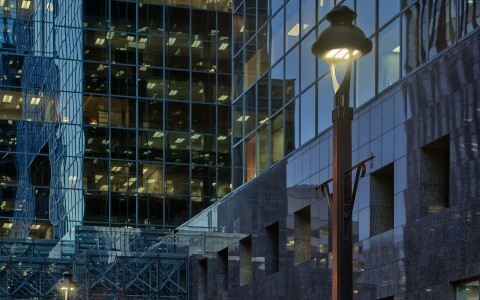 The history of how facades have been lit has evolved alongside technological developments in lighting. 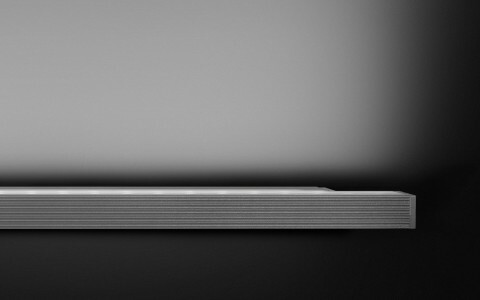 The optics of the Lumenfacade allow for a shallow setback of the luminaires while the breadth of their illumination requires less fixtures to be mounted that other alternatives. 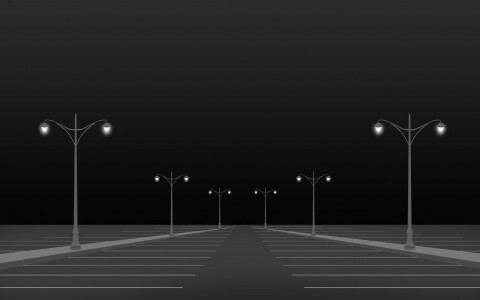 The urban lighting fixtures, pole-mounted on the island of lawn facing the college, harken back to an era of gas-lamps and boneshakers, but provide a modern, low-maintenance, and far-reaching illumination that allows for less spill light to end up where it isn't meant to. The soft glow achieved on both the driveway, that horseshoes the lawn, and the building itself can be attributed to the warmth of the Lumenpulse fixtures as well as their positioning, "The general and accent lighting of the structure are achieved in 3000K while two mature yew trees located in the central island are lit in 5200K to enhance their deep green," adds Gilles Arpin. The famed and significant architecture of the college now has a repurposed voice in the night, thanks to Lumenpulse and Eclairage Public. The illumination not only honors those who have had their lives touched by this historical building, it also sets a path into the building's future.